Heather earned her Master's of Education in Curriculum and Instruction and has served in various roles in public education over 14 years, including bilingual classroom teacher, curriculum specialist, instructional coach, and facilitator. She loves working with students of all ages and is passionate about fostering the love of learning, critical thinking, mindfulness, and fun inside and outside the classroom. She is a Teaching Artist at the Denver Center for Performing Arts and a guest teaching artist at local schools. She performs with ComedySportz Denver at the Avenue Theater and is the co-founder of the comedy dance troupe, At the Barre. 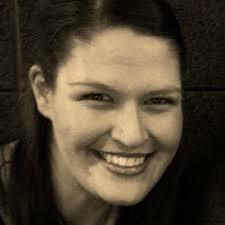 Heather is Board Chair of the GroupMind Foundation (GMF), a 501(c)(3) organization whose mission it is to accept and heighten the Denver community through improv education, performance, and outreach. GMF produces the annual Denver Improv Festival in November.